Hello, everyone! 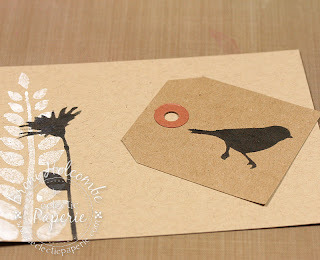 It's Broni and today I want to show you a CAS Kraft and Black Tag card that I made. 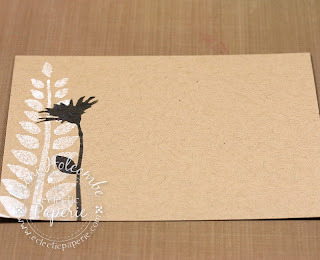 I used my new TCW Dina Wakley Mini Four Ferns stencil and some Dylusions White Linen spray first on my piece of kraft cardstock. 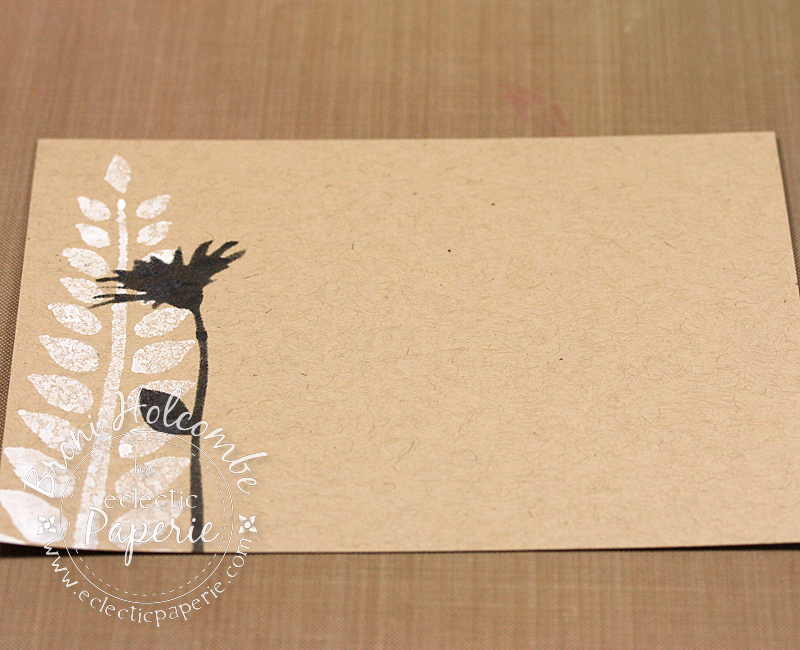 Then I added a Studio 490 Wildflower using an ink blending tool and some Black Soot ink. 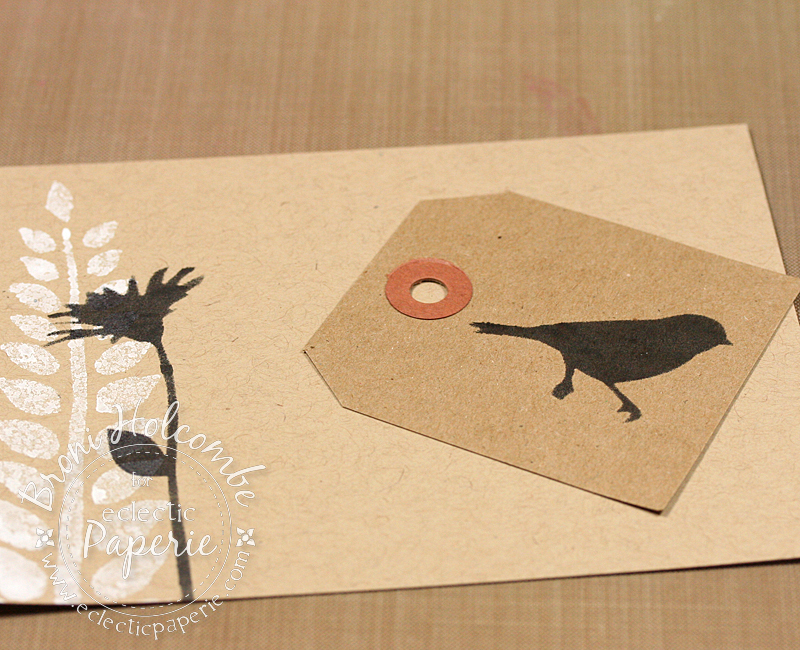 I also inked the Bird using the Wildflowers and a Bird stencil and the Black Soot ink onto a piece of a #5 kraft tag. 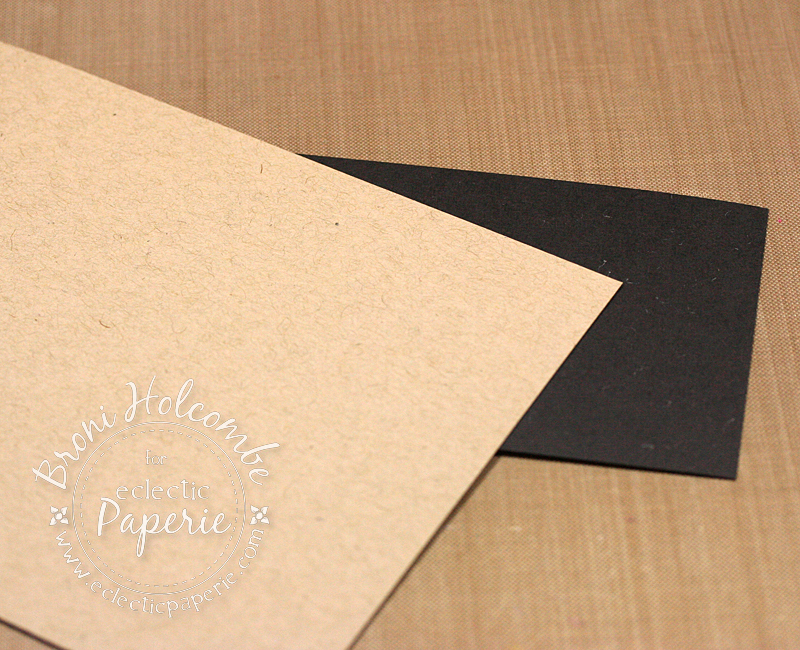 I adhered a #5 black tag to the front of the cardstock at an angle and turned it over to trim it. 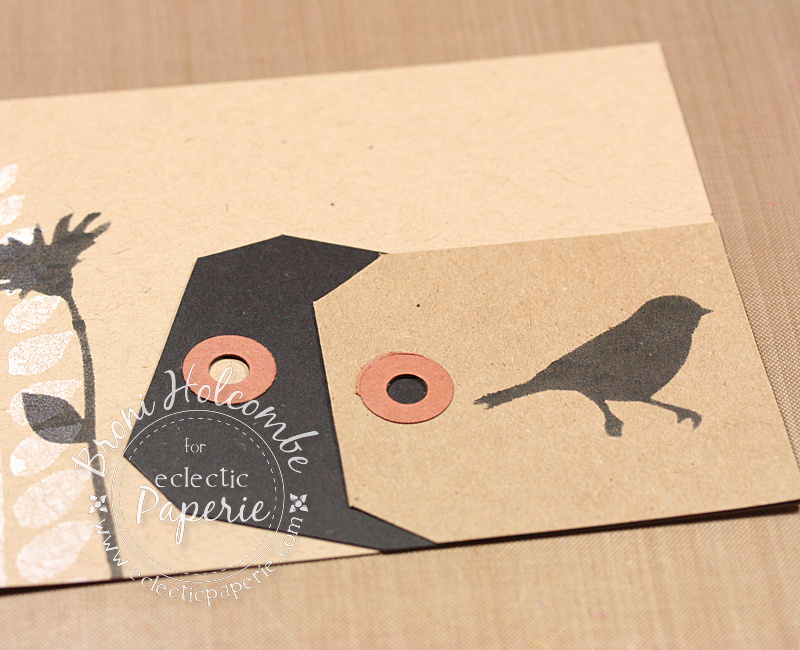 Then I added the bird tag on top. 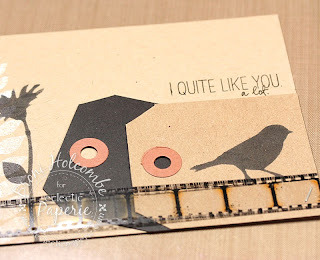 I used my Tim Holtz mini attacher to secure a piece of Transparent Film Strip Ribbon at the bottom, and stamped my sentiment (which I dearly love!) from the WPlus9 Quite Like You stamp set in Archival Jet Black ink. Finally, I added a strip of black chevron washi tape and adhered the entire piece to a white card base. I love how it turned out, and it was so quick and simple! Thanks so much for dropping by! See you next time! Love this, Broni! The kraft and black together is divine!! it's an awesome combo! looks great! Broni, I love how this turned out too. 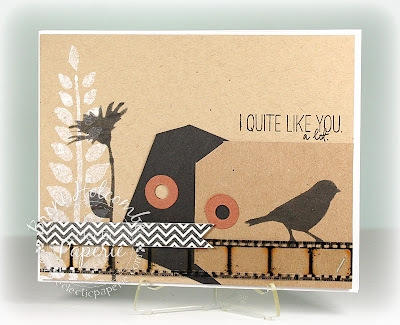 Love the kraft, black and white and the bold lines and shapes. The stencilling on the side looks amazing and the doubling up of the tags is such a cool idea. I like the shine of the filmstrip contrasting with the matte of the other layers. Great design. I am in love with the neutral tones Broni...stunning!! This is so cute! I love the color scheme too! Perfect for fall!